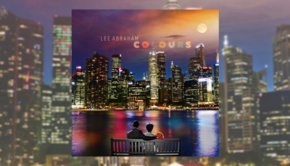 Lee Abraham is back, with what is now his fifth solo album. I have been sold on Lee’s brand of progressive rock since his performance at the 2010 Winters End Festival in Stroud where he was supporting his third release, Black and White; the musicianship and song writing immediately impressed. 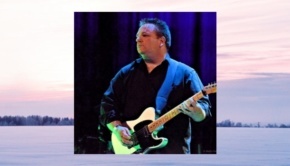 Lee is a guitarist and producer hailing from southern England. He took up playing guitar and writing songs in his mid-teens and released his debut album, Pictures in The Hall, in 2003 on a limited CD run. This was followed in 2004 by View from the Bridge and in 2005 he joined Galahad as their bass player. His tenure lasted until 2008 when he began working on a new solo album, Black and White, which he followed up in 2014 with the highly acclaimed Distant Days. Lee has also added his production and musical talents to Sean Filkins’ War and Peace and other Short Stories. For The Seasons Turn, which uses the passage of time as its theme, Lee has maintained the same core band members as on Distant Days, with guest appearances from Simon Godfrey, Martin Orford, Dec Burke and Credo’s Mark Colton. The album consists of five tracks, bookended by the longest two which are twenty-four and sixteen minutes in duration. The remaining tracks come in at around five to seven minutes. 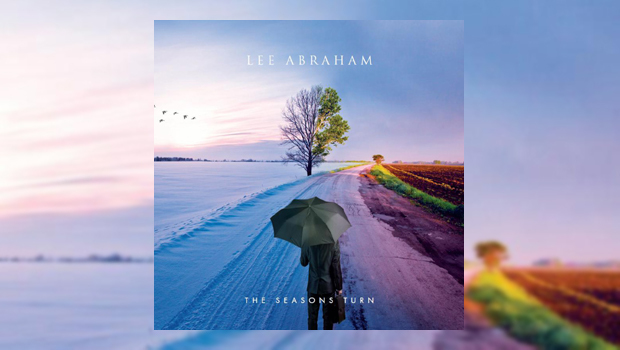 Lee has clearly been influenced by what some might say are the classic bands of the genre, but there is nothing on The Seasons Turn that comes too close to them and he has developed a distinctive sound by using his influences carefully. The album opens with the lengthy title track, the introduction given by the use of a lone piano before other keyboards join in, followed by the rest of the band. The song is awash with beautiful melodies, sometimes soulful and at others uplifting. Although predominantly keyboard led initially it does give way to some beautifully crafted guitar as the song evolves and changes. At around nine minutes the paces picks up, pulled back by the guitar as a well crafted solo simply soars. The song ebbs and flows until at nearly fifteen minutes Martin Orford provides some delicate but all too brief flute. It’s an interesting piece that holds the attention, and despite its length does not outstay its welcome. With Simon Godfrey’s heartfelt lead vocal, closing track The Unknown makes for an eventful sixteen minutes. The song starts with a sparse guitar before the band join in, keyboards swirl around creating the atmosphere before the guitar signals its intention to take the track in a different direction with a prog metal feel, then the keyboards fight successfully to regain control. The guitar returns with almost a Floydian feel to provides another great solo before prog metal touches drive the song forward again. Simon’s vocal sees the song settle back into its melody and we are treated to a short saxophone on the way to a guitar finale. Of the three remaining shorter tracks the quality continues, from the harder edged Live for Today with vocals supplied by Dec Burke, through the mellower Harbour Lights to the almost prog/pop of Say Your Name Aloud sung by Mark Colton whose excellent performance is in a different style from his usual work. For me this is a top quality release with great song writing, performances and guest musicians who add some sublime touches without dominating proceedings. I think this is going to be up there among my favourite releases of the year and if these things appeal to you, give it a listen, I don’t think you’ll be disappointed.